Ancient DNA found on Neandertal teeth has revealed fascinating new insights into the behaviour, diet, use of plant-based medicine and the evolutionary history of our nearest extinct relatives. “Dental plaque traps microorganisms that lived in the mouth and pathogens found in the respiratory and gastrointestinal tract, as well as bits of food stuck in the teeth—preserving the DNA for thousands of years, ” explains Dr Laura Weyrich from the University of Adelaide’s Australian Centre of Ancient DNA (ACAD). 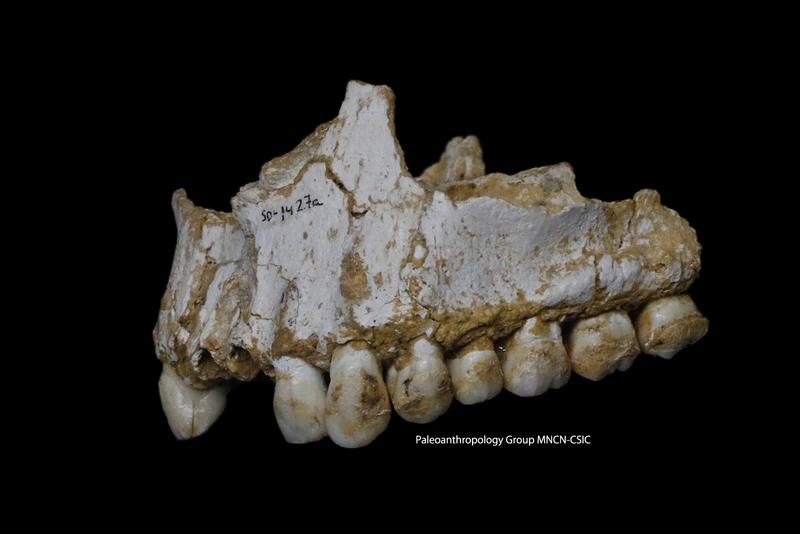 Dr Weyrich and an international team analysed and compared four dental plaque samples from Neandertal remains found at the cave sites of Spy in Belgium and El Sidrón in Spain. These samples are the oldest dental plaque ever to be genetically analysed; 42,000-50,000 years old. The research, published today in the journal Nature, offers an intimate insight into the diet of different populations. Neandertals from Spy Cave ate woolly rhinoceros and European wild sheep, with a side of wild mushrooms, says Professor Alan Cooper, ACAD director, while those from El Sidrón Cave “showed no evidence for meat consumption, but appeared instead to have a largely vegetarian diet, comprising pine nuts, moss, mushrooms and tree bark—showing quite different lifestyles between the two groups”. One of the most remarkable finds was in a Neandertal from El Sidrón, “who suffered from a dental abscess visible on the jawbone,” says Prof Cooper. This plaque indicated he also suffered from an intestinal parasite that causes acute diarrhoea; “clearly, he was quite sick”. The Neandertal had been chewing the bark of poplar, “which contains the painkiller salicylic acid (the active ingredient of aspirin), and we could also detect a natural antibiotic mould (Penicillium) not seen in the other specimens.” Some members of the Penicillium genus produce penicillin, that kills or stops the growth of certain kinds of bacteria inside the body. Penicillin was the first antibiotic to be discovered, in 1928 by Alexander Fleming. 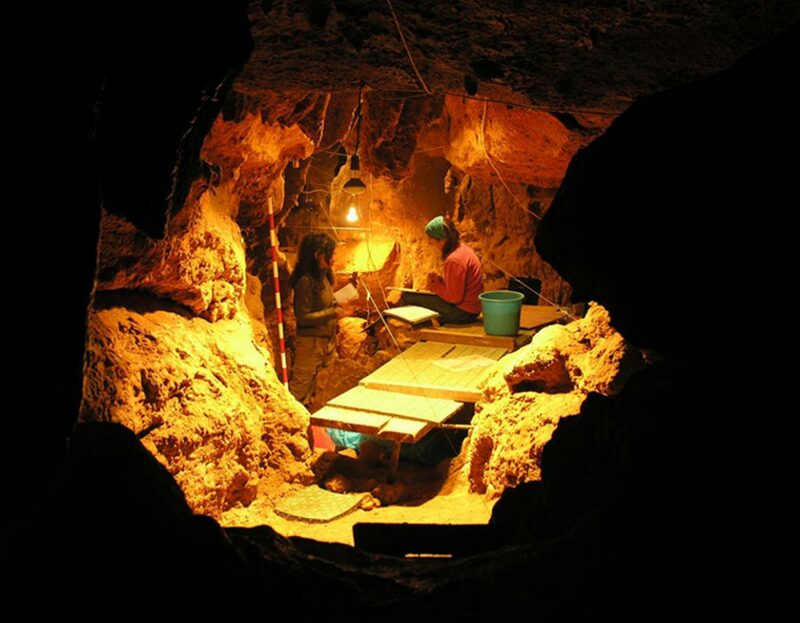 El Sidrón: Working in the Tunnel of Bones cave, where 12 Neandertal specimens dating around 49,000 years ago have been recovered. Image credit: Paleoanthropology Group MNCN-CSIC; Photo by Antonio Rosas. Neandertals: Really as stupid as they’re made out to be? Neandertals are our closest known, extinct hominin relatives. They co-existed and occasionally interbred with anatomically modern humans across Eurasia in the Late Pleistocene. Neandertals, ancient and modern humans also shared several pathogens, including a bacterium that causes tooth decay and gum disease. Moreover, the genome sequence suggests Neandertals and humans swapped pathogens as recently as 180,000 years ago, long after the divergence of the two species. This research also highlights how rapidly the oral microbial community has changed in recent history. A correlation may be drawn between the composition of oral bacterial populations in Neandertals and both ancient and modern humans, and the amount of meat in each species’ diet. The Spanish Neandertals were most similar to chimpanzees and our forager ancestors in Africa. However, the Belgian Neandertal bacteria were similar to early hunter gatherers, and quite close to modern humans and early farmers. “Not only can we now access direct evidence of what our ancestors were eating, but differences in diet and lifestyle also seem to be reflected in the commensal bacteria that lived in the mouths of both Neandertals and modern humans,” says study co-author Professor Keith Dobney, from the University of Liverpool. Read more about the study on scimex.org.